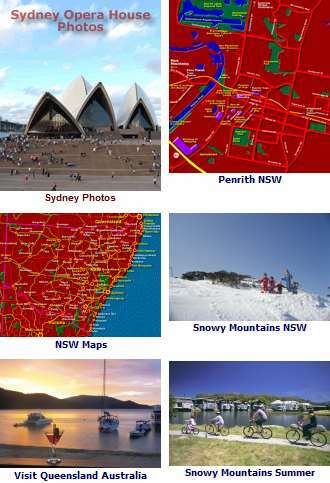 You can find Campbelltown on the south west of the Map. Campbelltown, part of the Macarthur Region of NSW, was once a ‘far flung’ outpost of the fledgling NSW colony. It has developed into an eclectic Sydney suburb - accessible via rail and the M5, the motorway leading to points southwest of Sydney, including Wollongong, Goulburn and Canberra ACT. Campbelltown has picket fenced cottages, some very old, mixed with 2 to 3 storey terrraces and mansions dating from the very early to the late 19th Century. There are some great examples of Georgian, Victorian and Gothic buildings. See the Campbelltown Culture and Heritage Tour : Campbelltown Photos. Campbelltown came to play a key role in the History of Sydney. The First Fleet in 1788 had brought some cattle with them to establish a food source for the early convict colony. However, they soon escaped and disappeared into the vast land that surrounded the settlement. The cattle were later spotted by the local Aboriginal tribe, the Tharawal people, who actually left a rock art site depicting these animals with horns. Helped by aboriginals, some early British explorers spotted them at an area between Liverpool and Camden. They, like the cattle, also discovered the lush grazing fields that covered this part of NSW. John Macarthur recognised the potential of this region to the south west of Sydney, convincing the British Government into giving him a 5000 acre land grant to help establish the Australian sheep industry in 1805. In 1820 Governor Macquarie declared that a township was to be built here and named Cambell-Town, after the maiden name of his wife, Elizabeth Campbell. 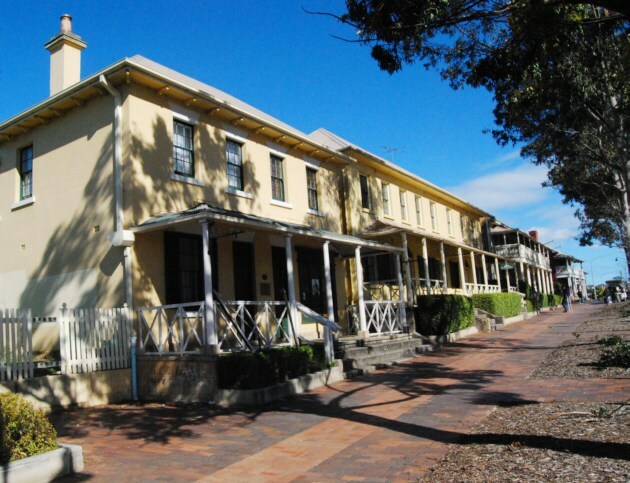 In the town itself, you can discover for yourself the history by simply taking a walk round the main streets of Campbelltown. There are splendid examples of Georgian, Gothic and Victorian buildings. See the Campbelltown Historical Tour. Whether you’re into sport or adventure, there’s plenty to do here. Golf, bowling, go-karting, horse-riding, skate parks and even Laser tag games. There is a good range of Golf Courses available, including a driving range. There are a number of Markets offering arts and crafts, bargains, thrash and treasure. The Appin Markets are held at the Appin Public School every second sunday of the month, on thursday and saturdays, there is the Boot Hill Markets held on the corners of Swettenham Rd and Raby Rd, Raby. For Arts and Crafts, visit the Bradbury Markets at the Bradbury Shopping Centre, on the first and third saturday of the month. Further afield, the Camden Art and Crafts Market is held at Onslow Park in Camden on the third saturday of the month. Cobbity Art and Craft Markets are held on the first saturday of the month. A good range of options for accommodation in Campbelltown is available. Budget accommodation is available at the Motel Formula 1, The Hermitage at Leumeah has a wide range of accommodation options available, including family suites. Rydges, on Menangle Rd is housed in a stylish building not far from the centre of town and offers 41/2 star accommodation. Campbelltown City is located less than an hour’s drive from the Sydney Central Business District (CBD) and Sydney Airport. Getting to Campbelltown is as easy as catching a train from Circular Quay in the city. If driving, just follow the M5 Motorway south west of Sydney and get off at the Campbelltown exit. 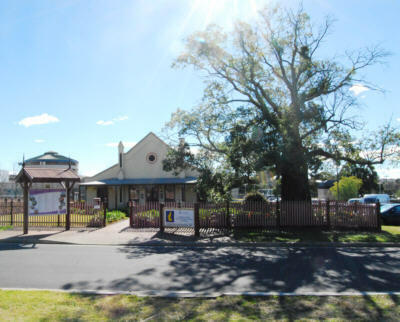 Campbelltown Visitor Information Centre is located in the historic ’Quondong Cottage’ at 15 Menangle Rd. by the Campbelltown Catholic Club and the Campbelltown Arts Centre. See Pictures of Campbelltown: Campbelltown Photos. Sydney and Australia Wide Accommodation see: Hotels in Australia.